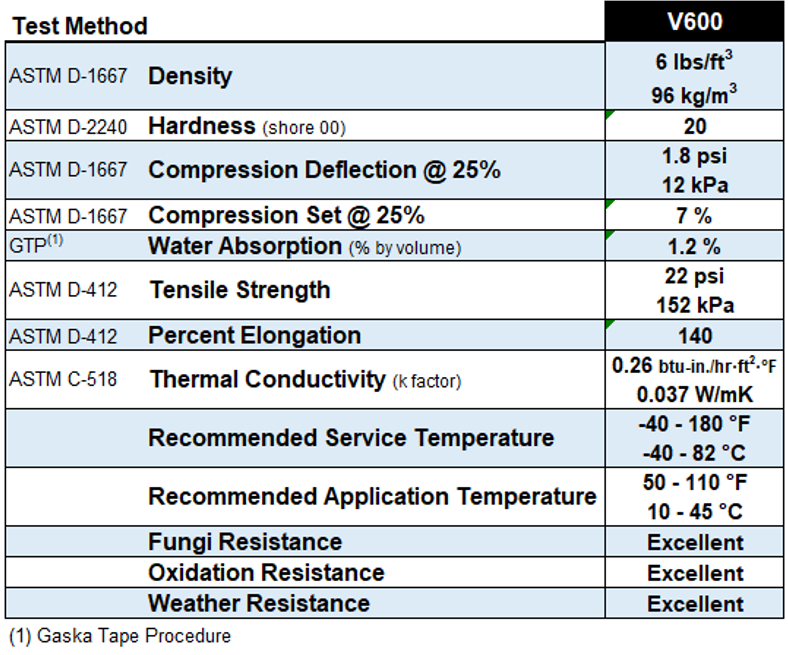 V600 Series – Gaska Tape Inc. Developed initially to provide an economical seal between pickup truck caps and body side rails. Today, Cap Tape® is used effectively for a variety of non-critical sealing applications, such as weather-stripping with our MW600 Series. Gaska Tape’s V600 Series can be produced with or without adhesive on one side as well as cast on a permanent polyester film to the opposite side. Formulated from durable Polyvinyl Chloride (PVC) for a long service life. V610 is cast on a removable bleached 83# white paper. V615 is cast on a 2 mil polyester film to provide dimensional stability, and is a self-wound product. Standard (G1) emulsion acrylic adhesive is used for light duty substrates which are clean and dry. NOTES: Available as V610, 83# white bleached paper, foam, adhesive. Also available as V615, 2mm polyester film, foam, adhesive. The standard thickness manufactured is 0.188” thick. Available up to 0.250” upon request of quotation.